In today’s world, we cooperate across legal and cultural systems in order to create value. However, this increases volatility, uncertainty, complexity, and ambiguity as challenges for societies, politics, and business. This has made governance a scarce resource. It thus is inevitable that we understand the means of governance available to us and are able to economize on them. Trends like the increasing role of product labels and a certification industry as well as political movements towards nationalism and conservatism may be seen as reaction to disappointments from excessive cooperation. To avoid failures of cooperation, governance is important – control through e.g. contracts is limited and in governance economics trust is widely advertised without much guidance on its preconditions or limits. 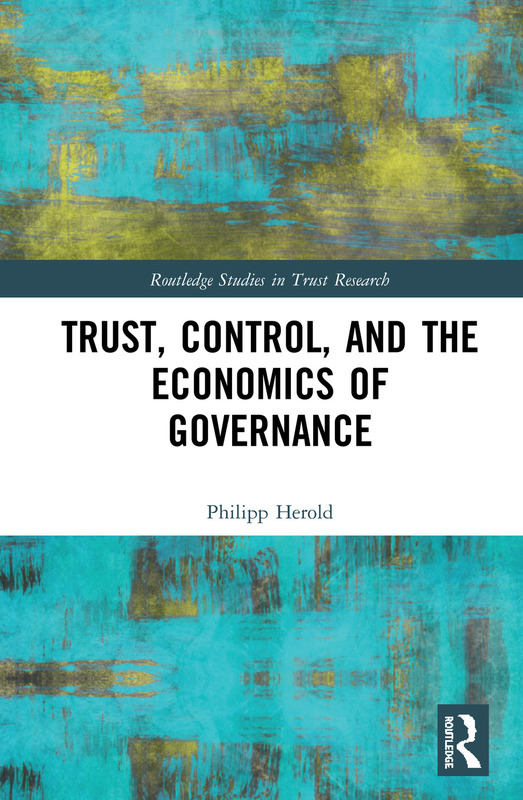 This book draws on the rich insight from research on trust and control, and accommodates the key results for governance considerations in an institutional economics framework. It provides a view on the limits of cooperation from the required degree of governance, which can be achieved through extrinsic motivation or building on intrinsic motivation. Trust Control Economics thus inform a more realistic expectation about the net value added from cooperation by providing a balanced view including the cost of governance. It then becomes clear how complex cooperation is about ‘governance accretion’ where limited trustworthiness is substituted by control and these control instances need to be governed in turn. Trust, Control, and the Economics of Governance is a highly necessary development of institutional economics to reflect progress made in trust research and is a relevant addition for practitioners to better understand the role of trust in the governance of contemporary cooperation-structures. It will be of interest to researchers, academics, and students in the fields of economics and business management, institutional economics, and business ethics. Note that this work is the first of its kind that explicitly reflects on the societal realities, how these drive the assumption setting process, and how these assumptions influence the theory outcome. Philipp Herold earned his PhD in economics from the Leipzig Graduate School of Management, Germany with the support of the Dr. Werner Jackstädt Foundation. He is a corporate finance professional in the insurance industry.